gives me a chance to discuss some interesting areas of music. I have reviewed Swine Tax before and had the opportunity to witness their blend of music. I will speak about music from the North and whether we are still throwing as much love that way as possible; intensity and bands who have the ability to invoke the spirit music is missing; bringing that energy and directness to the stage; connections within the ranks that makes the music that much stronger – I will end by looking at Swine Tax’s future and how they will progress. I feel we are still ignoring the North of England and what is coming from there. If we look at any new musician and laud them; it seems we are not casting a net far beyond the capital. I have talked about this a lot and approached it from different angles. There is nothing to suggest the future of music is situated in London. The media is based here, and so, that is where people tend to look. You balance the sounds of the South with those of the North and there are some marked differences. 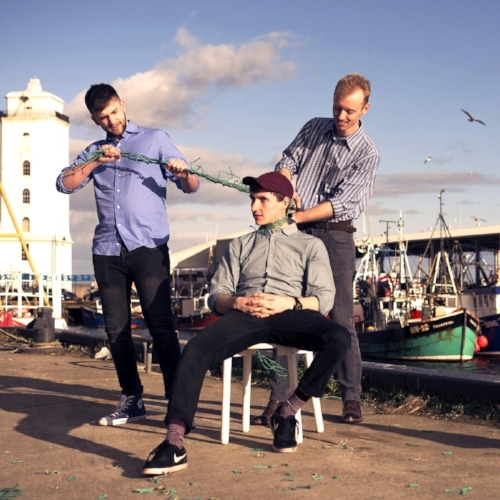 I feel there is more honesty, wit and originality coming from northern bands at the moment. I am not suggesting the South lacks any bite and potential – the North is offering something a lot more intriguing and fresh. The Swine Tax boys have been playing for a little while and, so far, have managed to accrue a loyal fanbase and some great local attention. I have looked at the music of Manchester but, looking at Swine Tax and the Newcastle area, I am interested to see whether there are differences. There are some fantastic venues and artists where Swine Tax are - and a great support network. There is always that temptation, when artists get bigger and need focus, they move to areas like London. I hope the guys manage to stay where they are and do not feel the need to up sticks. So far, they are vibing from what’s around them and seem comfortable where they are. There are, as I said, great venues around and chances to get the music to the people. It is the local support and sense of taste that makes northern music so long-lasting and impactful. There is a loyalty and passion you do not get from any other part of the country. Because of all of this; why are we still spending so much time in London and the music coming from there? I know there is an incredible scene here and wonderful movements: the North is producing epic music and should be given more love. One of the reasons why I feel this way is the band market and how the focus is still on solo artists. Again, this is another topic I have covered and investigated before – I shall not go too much into the topic again. There have been some great albums released this year but, to me, IDLES will produce the biggest statement of the year. I will talk about the band more in a later section but the solo material I have heard this year has been great. I am looking for an album that produces that extra bit of heat, force and oomph. Solo artists can do that but it has always been down to the bands of the world to bring something extra-special and intense. Swine Tax are a band with plenty of intelligence and depth – they have a raw edginess and electricity that takes their music to another plain. Tory Water, their previous single, looked at the local music industry with a sardonic nod. It has the College-Rock sounds but brought in plenty of punch and observations of the local scene. Although there are, as they observe, issues in the North that need remedy and support; the impression one gets from the song is of a band with a big future ahead. The sheer depth, story and colour they bring to the music makes you want to support them and see them do well. I feel we have ignored bands to an extent and assumed they cannot compete with solo artists. Historically, some of the finest music has been made by groups – why are we spending so much time with solo musicians?! Swine Tax have that unbeatable blend of local knowledge and focus with musical swings that stretch all the way to America. It means (they) have the ears of those in the Newcastle area but there is potential to get gigs in the U.S.
One of the things that occur to me is how bands like Swine Tax can use their keen lyrical insight, established strengths and focus on the current Government. Tory Water nods its head the way of our leader but there is new opportunity to sink the teeth in. I love how Swine Tax can bring humour and accessibility alongside riotous instrumentation and ample punch. We are living in a very odd time where the nation is splitting apart and politicians are messing everything up. Whilst solo artists would be able to project something meaningful and anthemic; I feel bands like Swine Tax have more ammunition and promise. Vince Lisle, Tom Kelly and Charlie Radford take hints from bands like Sonic Youth and Pavement and splice that with embers from the local scene. They look around them and talk about how politics affects their lives; stories of lust and ambition are thrown in – quite a heady and exciting brew! The band have been picking up fans at a rate of knots since their inception and thrilling those lucky enough to see them. I have seen some great bands form but few have the same intoxicating passion and attitude as Swine Tax. I do love what is coming from music but I feel something is missing: an authority and explosion that has disappeared slightly. The mainstream media are spending a lot of time on solo artists and feel, to me, there isn’t the same sort of promise in bands there was years ago. Maybe that short-sighted assumption reflects a geographical laziness. If they did some more exploration then you could see more attention given to the likes of Swine Tax. I have been hankering for a band who can get the blood boiling and the body moving. I have mentioned IDLES already: a band that has the sound of The Clash and mix it together with modern Punk and Alternative motions. Although Swine Tax source from the U.S. (more than British sounds) and a different era; they have the same sort of majesty and can produce a truly stunning live show. The nation is looking for artists who can articulate what is happening and how their lives are being impacted. It is good to hear melody and calm in music but, at times like these, there is a desire for release and fire. My assessment paints the picture of Swine Tax as a brutish Punk band who is throwing stuff around and want anarchy. In actual truth, they can fuse spiked and spit-laden with real songcraft, lyrical acuity and exceptional musicianship. Their music is far more compelling than straight-ahead guts-and-shout. It is exciting watching Swine Tax rise and growing with every release. Their live set is extraordinary and the studio music we hear from them is like nothing else. It makes me hanker for more passion towards the North and greater exposure of the best young bands coming through. Maybe the secret ingredient (for success) is assessing what is happening in the country and reaching people in a way our politicians cannot. Their music does have a political edgy but wraps it around character studies and local commentary. I have watched music change skin the past few decades and I am seeing things drop away and not re-growing. I have lived through the tail-end of U.S. College-Rock bands and British Punk idols. I have seen movements die and be replaced by something altogether safer and less risky. We need to revoke the lost Punk and Rock spirit that excited generations and started a fire. Swine Tax have the potential to burn bright in the local scene, as they already have, and lay down a marker. The boys continue to grow bigger and more ambitious every time they put material out there. Whether you are familiar with the music coming from the North and how it varies from that of the South; it is obvious to see how small a roll Rock and Punk is playing in modern music. We can throw various arguments into the mix – changing tastes and times; few great artists to keep the flame alight; critical ignorance – but I can sense something happening and shaking. Another reason I feel Swine Tax and their ilk are able to stage a coup and gain a passage to the forefront is what they bring to the stage. You can argue a soulful performance from a Pop artist can hold the same magic and power as that of a snarling Rock band. I contend that the most impactful and hard-hitting performance comes from bands that crank the wattage and get bodies jumping. Swine Tax bring their own brand of explosion to the stage but do, as I have said, have plenty of variety and melody. They are a rounded and nourishing band that are gathering huge acclaim because of what they take to the stage. Never Ending – one of two singles they have just released – will sound, I can imagine, amazing on the stage. The guys have a great reputation in the North East and showcase established band there – showing a support and sense of comradeship you do not often witness. 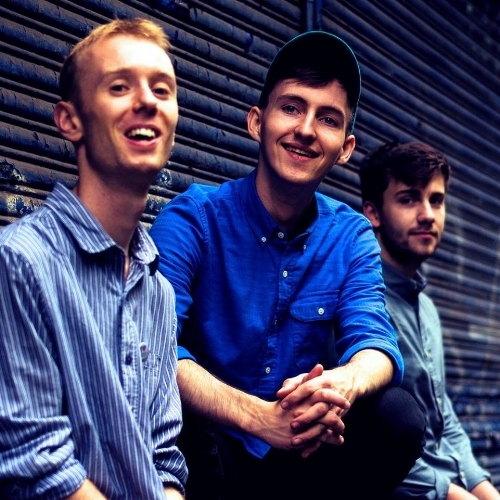 They have supported the likes The Orielles and Jeffrey Lewis; they mix the D.I.Y. ethic they have always possessed and bring in new-found skills and strengths. The guys will never sell-out and feel the need to get into a bright and expensive studio. They have an authenticity and accessibility we are looking out for right now. The connection and chemistry the band has is another reason why their local reputation is solid and building. There are some bands where you watch them play and they might stay in the mind for a little bit. Something is missing from their set. Maybe there isn’t the connection you’d expect or the music is too similar to their studio-made sounds – not bringing anything new and unexpected into their repertoire. Before reviewing one of the band’s latest singles; I want to finish on this theme and highlight the solidity in the ranks. Swine Tax’s success, so far, can be attributed to the fact the guys are on the same page and have that respect. Writing and performance is democratic and there is no muscling for leadership. They have the same goals and want to see their music go as far as possible. I am seeing some bands suffer splits because everyone wants different things and communication is lacking. The friendships present within Swine Tax makes their recorded material such a treat to listen to. They have dropped the double A-side Thorns/Never Ending and will perform at Think Tank? (in Newcastle) tonight. The single(s) have been met with big acclaim and reviews are coming in. The confidence the guys will get from the early praise will translate to the stage. They have gigs coming up but I feel, when their new material gets further out there and resonates; more dates will arrive and there could be some big dates. The guys are playing alongside like-minded, local talent and they are keen to integrate themselves with some fantastic artists. The material they have out there right now acts as a guide for potential venues and bookers. I am not sure whether Swine Tax will release an album next year or continue to bring out singles but they have this energy and focus that is impressive. I would love to see them ascend to the mainstream and influence fully. It is all very exciting and full-on for Swine Tax right now. They are picking up local support and lots of new ears are turning their way. It makes me wonder whether they can take it all the way and embark on a national tour. I hear there is more material coming from the band later in the year and, in October, they are back in the studio. It makes me wonder what form that will take. Maybe it will be another single or they are going to put a five/sic-track E.P. together. What excites me is how the band has grown from their earliest days. Maybe it is the experience they have gained or the passing of time – it is getting better and brighter for the band. I am not sure whether they have ambitions to tour around the world but I feel next year will be their time. Swine Tax have already cemented their name in the local realm and are ready to face the responsibilities of international touring. One needs stamina and extra fortitude when venturing between cities and nations. It takes more energy and discipline but I feel Swine Tax have that in their locker. I can easily see the northern band head to the U.S. and get some acclaim there. The guys have that reputation as live performers and they have thrilled fans for a long time now. I know the boys could handle the demands of a worldwide tour and what it encompasses. There are people around the world who would eat up Swine Tax and what they are all about. I have been hankering for a band to come along that can stay in the mind and get me excited about the future. I do not often go to live gigs because I feel there is little excitement and it will not be worth a trip out. Swine Tax’s reviews and reputation makes me want to see them and catch them as soon as I can. The boys are on a rise and cementing themselves as one of the finest young bands out there right now. They have already made a great name for themselves in the North – it is time for them to shift and take their music down the nation. The opening notes put me in mind of bands like Pavement and Pixies. You get that rush of the 1990s (and 1980s) and what was coming out of American then. I guess that is what Swine Tax have always been about but, if anything, there are new elements in their music. The lyrics talk about framing the moment and breaking open an unspecified thing – placing the hero under house arrest. Our man is aching, but not stressed, and one wonders what he is referring to. The early, softer guitar opening mutates to a more squalled and rain-lashed sound that mixes with the rest of the fold. The guys come together expertly and provide instance evocation. Percussion sounds add weight and drive but are never too heavy; there is that bassline that keeps things together and leads; it stays disciplined, level-headed and focused. One of the only problems at the early stages is vocal decipherability. At times, it is hard to understand what is being sung and the mix does push the vocals a bit too low down. I imagine that is less a mistake from production and more an emotive and sonic decision. You have that murkiness and effect that adds conviction to the song. What I mean is this: you get a bigger emotional hit and feel like the hero is singing from under a rock or pillow. There is tension and a slight disconnect that pulls you in and speculate. Lyrics never really allude to a single event or person and the listener is free to interpret what the song is about. Whilst other songs in their cannon have looked at political and local areas; here, we see something that is rooted in the personal and romantic. The hero looks to be casting out to a heroine who has left him stressed and tense but lingers in the mind. It seems her scent and looks are in the brain; her eyes (wild, bright flowers) are burning holes in the soul and one gets a definite longing. The chorus comes in, when our man is holding back at the moment, and the band really swell and explode. The guitars rapture and the percussion raises its game. All the boys turn the volume up and there is that evocative rush. You get the smell of 1990s College-Rock but there is that distinct Swine Tax skin. The rousing and bristling chorus gets the hairs standing and the mind racing. I was fully involved with the song at this point and could not get enough of it. The guys bring a real sense of thrill to the track that comes from nowhere. You could always feel things building but it is the way they switch from contemplative and open to intense that gets me – a real pleasure and something that gives the song a movement and agility. Few can deny the song lacks passion and professionalism but it is the D.I.Y. aspect of the song that makes its mark. One gets proper intelligence and songcraft but I am drawn to the sparse and honest sound that gives the song its stripes. It sounds like the band is playing from their living rooms: there is no polish that can wash the life from a song; it is a fantastic sound that gives the number much more allure and appeal. The performances are consistently brilliant and so much is thrown into the mix. Backing vocals and layers keep building; the percussion and bass work alongside one another and the chorus explodes back in when you need that hit. Our hero keeps his energy up and is committed to every single moment. Maybe my impressions of lust are wrong but it seems like there is someone in mind that is causing all sorts of problems. His head is swimming and there is a distinct sense of desire and need. Swine Tax keep the composition changing and evolving. Unexpected vocal touches and little bass lines fuse with big, anthemic rushes that delight and thrill. It is when the guys combine in vocals and there is that chanting, brotherly togetherness that you get the biggest hit. The headiness and brilliance of the song continue right until the end and you are compelled to listen to the song over and over. The performance is tight and stunning but you never get the sense things are too rigid and practised. Swine Tax leave room for breath and provide that fantastic, live-sounding feel. I have heard Never Ending a few times and discover new things upon every spin. There is guts, glory and passion running right the way through veins. I know the band will continue to record great music through their career but, right now, they are in top form and really inspired. I can only imagine what sort of reception and reaction songs like Never Ending will get when played tonight. Swine Tax show they are varied regarding their lyrics: they can go from political and local to observing something more universal and love-based. However you see their new song, and what you think it is about, it is a fantastic cut from the boys and proof they are one of the best and brightest talents out there.